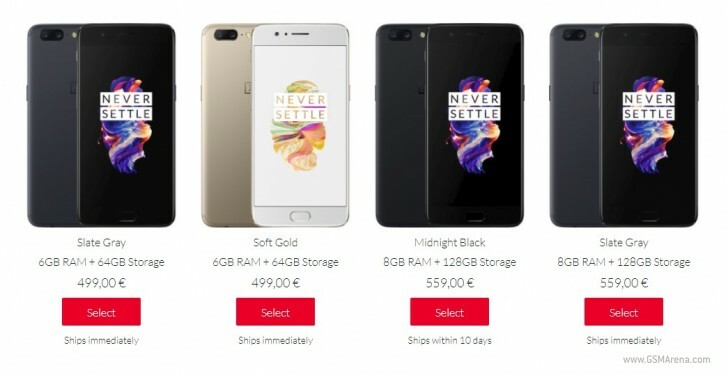 OnePlus now offers the OnePlus 5 with 8GB of RAM in Slate Gray flavor. Up until now the 8GB of RAM, 128GB of storage model was a Midnight Black exclusive. The Midnight Black remains available with 8GB of RAM – you can’t get it with 6GB of RAM if you really (inexplicably) wanted to. And if you want to buy a Soft Gold unit with 8GB of RAM you’ll need to wait as it’s only available with 6GB of RAM.